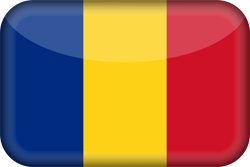 I was born on 29 March 1976 in Târgoviște, Dâmbovița County. Between 1990 and 1994 I attended high school following a mathematics-physics specialization at “Mihai Viteazul” National College, in Ploiești. Further on, I chose to study economics at the Bucharest University of Economic Studies. In 1994, I had the best score at the admission exam for the Faculty of Economics. In 1998, I graduated with very good results, finishing 4th in my class. During my last year as a bachelor student I obtained an Erasmus mobility grant. This gave me the opportunity to do the necessary research and write my bachelor thesis during the three months I spent at the Universite des Science et Technologies, in Lille, France. Right after graduation, Professor Niță Dobrotă, at that time the head of the Economics Department, proposed that I embrace an academic career and remain in the Department team. In this context, Professor Dobrotă became my the coordinator of my PhD thesis, where I researched the role of institutions for economic development. I have built my academic career step by step, with the necessary rigor for every professional stage: in 1998 I became junior teaching assistant, in 2000 teaching assistant, in 2003 lecturer, in 2007 associate professor and, starting from 2015, I am a full professor. The areas of expertise which represented the basis of my career are the ones that are the most representative for the Department of Economics and Economic Policies, namely Microeconomics and Macroeconomics, as well as Institutional Economics. At the same time, I was coauthor to the latest editions of the textbook issued by the Economics and Economic Policies Department, with contributions on monetary theory and policy topics. 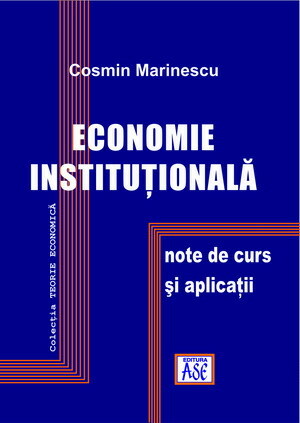 In 2005 I founded, in Romania, the first course dedicated to the field of Institutional Economics. Such a course gained increasing interest in the most prestigious universities, especially after several Nobel prizes were awarded, in the 90’s, to researchers in the field of institutional economics. In the institutional approach, institutions are the rules, and organisations are the players – a perspective that explains economic development in a much better way, through the lens of rules, i.e. institutions (economic, social and political). I have been involved in several research projects financed from national and international grants, both as a project manager (2 projects), as well as a team member, doing research on various topics, such as: institutions of a market economy, economic freedom, policies regarding the European accession, the institutional quality of the business environment, foreign trade liberalization, sustainable development, economics of education. My research activity also materialized in various research opportunities abroad: Centre d’Economie de la Sorbonne-Université de Paris (Panthéon-Sorbonne), ESCP Europe Business School, Middlesex University, London School of Economics, Institut d’Administration des Entreprises and Universite des Science et Technologies, Lille. In 2010, I won the postdoctoral research project conducted by the National Institute of Economic Research “Costin C. Kiriţescu” from the Romanian Academy, occupying the 6th position in the ranking of admitted researchers. In 2012, within the same POSDRU project, I had the unique chance to be invited by Professor Claude Menard, in order to do research at the Centre d’Economie de la Sorbonne. Along with other famous institutionalists, such as Oliver Williamson – Nobel laureate in 2009, Claude Menard is a renowned international scholar in the field of institutional economics. Against the backdrop of my publishing and research activity focused on crucial themes for economic liberalism, I founded, in 2008, along with an enthusiastic group of colleagues and friends, The Center for Economics and Liberty (ECOL) is a private educational and research initiative that aims to promote a better understanding of the principles behind a free economy and a democratic society. I have also published on ECOL some didactic materials. 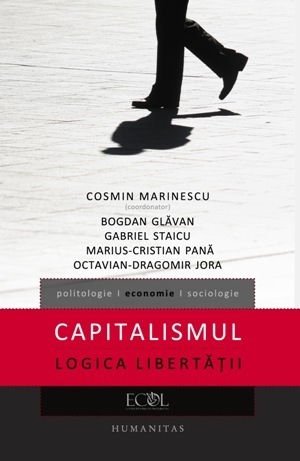 Today, after more than 8 years of editorial consistency, ECOL has become one of the most generous online libraries of liberal economic literature in Romania, including translations of texts belonging to influential authors for the economic thinking: Carl Menger, Frederic Bastiat, Richard Cantillon, Herbert Spencer, Ludwig von Mises, Friedrich Hayek, Milton Friedman, James Buchanan etc. I have published a large number of books and papers as coordinator, author and coauthor, on different topics, the most important being: Education: an Economic Perspective (2001), Liberalization of Foreign Economic Exchanges (2003), Institutions and Prosperity. From Ethics to Efficiency (2004), Performance in the Context of Lisbon Agenda (2006), Market Economy. Institutional Foundations of Prosperity (2007), Economic Freedom and Property (2011), Capitalism. The Logic of Liberty (2012), Transaction Costs and Economic Performance (2013). Being very attached to economic liberalism, my publicistic activity materialized, in this respect, through the coordination and publication of the volume Capitalism. The Logic of Liberty at Humanitas Publishing House. The book benefitted from the moral support and scientific endorsement of some respected intellectuals and prestigious economists from the national and international academia: Pascal Salin, Leszek Balcerowicz, János Kornai, Walter Block, Aurelian Dochia, Vasile Ișan, whose opinions on “the logic of liberty” are published on the book covers. In this context, Capitalism. The Logic of Liberty was awarded “The Book of the Year” title, in 2013, at the Wall-Street Gala. In 2009 I coordinated the elaboration of the economic part of the presidential program launched by National Liberal Party’s President, Mr. Crin Antonescu. Between 2013 and 2014, I was the Vice-president of the Commission for Budget and Finance of the National Liberal Party, where I contributed to the development of government policies and programs. I worked in the Ministry of Economy (2012) and in the Ministry of Public Finance (2013), as Advisor to the Romanian Minister and Deputy Prime Minister on economic and tax policy issues. Between June and December 2014 I was the Economic Advisor to the President of the National Liberal Party, Mr. Klaus Iohannis. In this context, I developed the economic part of his presidential project. 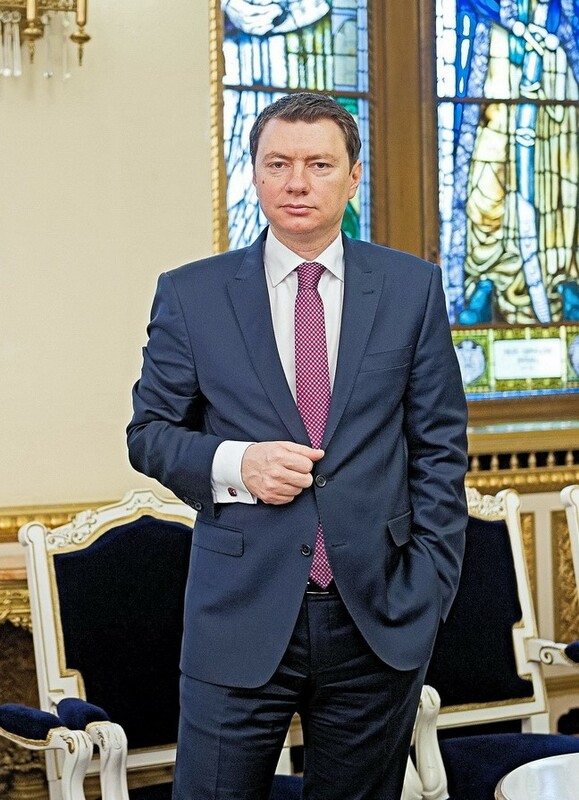 Since December 2014, I have the honour of being Advisor on economic matters to the President of Romania, Mr. Klaus Iohannis, as Presidential Advisor – coordinator of the Department for Economic and Social Policy. In the past years, I was present in the public sphere by publishing a series of articles and interviews, as well as by attending events focused on topical issues in the sphere of economic policy and debate. Ziarul Financiar, Adevărul, Hotnews, Profit.ro, Bursa, Contributors, Wall-Street.ro, ECOL are the main platforms where my ideas and analyses sought to contribute to the debate on economic ideas. A synthesis of these contributions can also be found on my Wikipedia page.